In case you missed it, we’re in the thick of awards season. In January, the 2018 Golden Globes wowed us with its show of solidarity in the fight against sexual abuse and harassment in Hollywood and beyond. The SAG Awards were January 21st, and now we’re celebrate the eve of the 2018 Oscars. We already know what the Oscar nominations look like (they were announced January 23rd) and we’ve gotten some information how the show is shaping up. 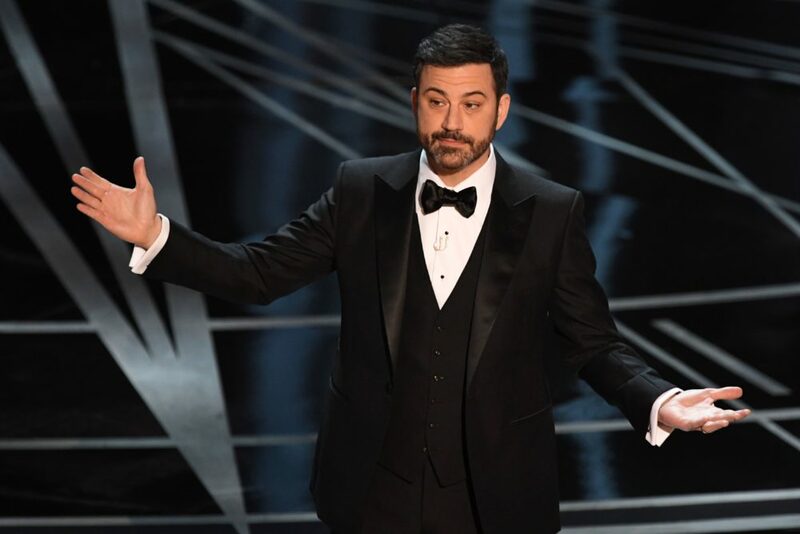 Namely, we know that Jimmy Kimmel — who hosted last year, when there was that EPIC Best Picture mix-up — will return to host the major awards show. Not to mention, we know how people feel about Kimmel filling the role once more. And to sum it up, the feelings are a bit mixed. When Kimmel’s hosting gig was announced, many on Twitter seemed pretty excited to have him back. Many congratulated him on a previous job well done, and we’re pleased with the news. Jimmy, you make me laugh. I love you so much! Awesome! Won't miss a moment! Congrats!! Can't wait to you host the ceremony again! And can't wait to see what surprises will happen! Now, in the era of #MeToo and #TimesUp, it appears there’s been a bit of a shift. Sure, some are still excited to have the comedian return to the Oscars stage, and expressed that on Twitter in recent weeks. But many would have liked to see someone new in the role, or wanted a woman to host, which isn’t very surprising considering how some people responded to Seth Meyers hosting the 2018 Golden Globes. Why not a woman host the Oscars? Why the hell not? Why do we need Jimmy Kimmel not even one time, but the second time, and not even in his career but in a row? Why not a woman host ?!?!?!?! Ughhhh why is Jimmy Kimmel hosting the Oscars again this year?? We’re sure many more will chime in — excited or not — when Kimmel takes to the Oscars stage once more. The 2018 Oscars air on March 4th on ABC.